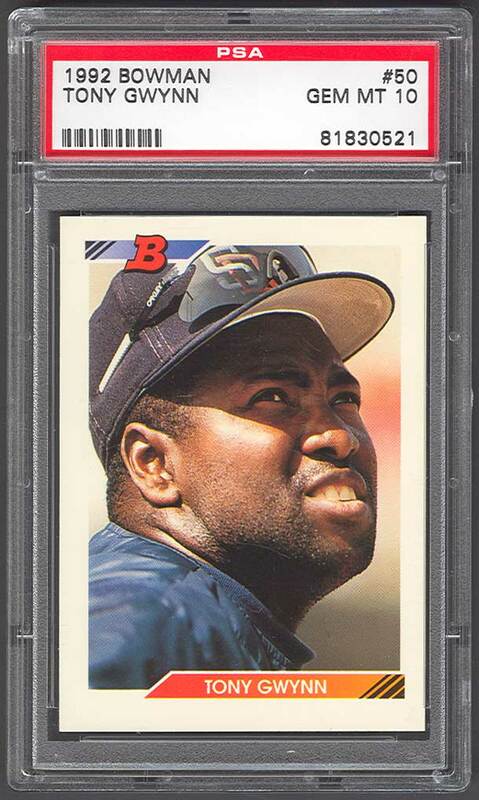 Comments: I started the Gwynn portrait run in 2000 with the 1984 Donruss issue first buying a PSA 8, upgrading to a PSA 9, and then winning a PSA 10 on eBay in March, 2006. I also had a Gary Carter, Don Sutton, and a Don Mattingly from the same issue. There's lots of head shots in this set. In order to diversify the collection a little, I looked for another portrait card of Gwynn and settled on the 1992 Bowman issue. 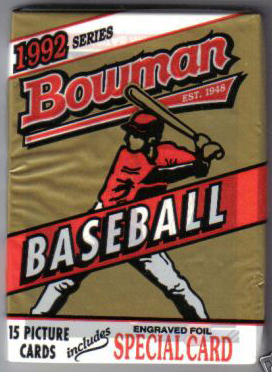 This set will always be near to my heart as early on in my collecting I was a Rookie Card enthusiast. 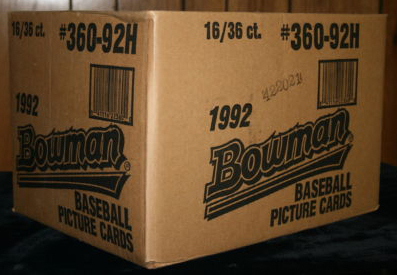 I bought stacks and stacks of 1992 RC singles to sell off when the players made it big - did pretty well. 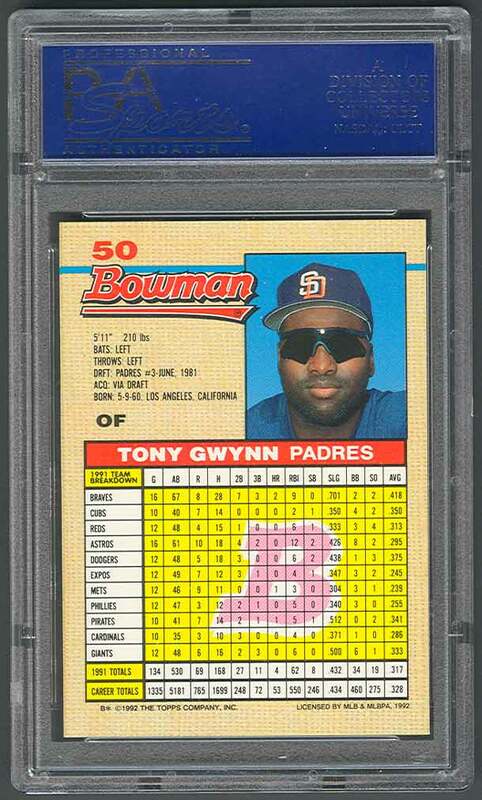 In November, 2007 I won this PSA 10 on eBay. 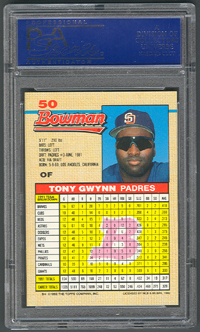 Description: Topps introduced several changes with the release of its 1992 Bowman set. The 705-card set features 45 special insert cards stamped with gold foil. The cards are printed with a premium UV coated glossy card stock. 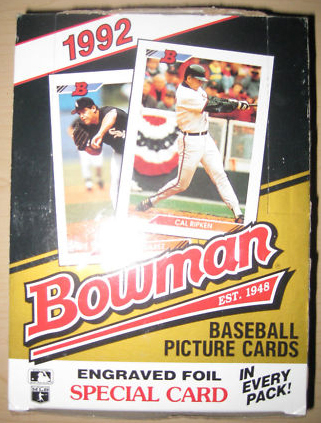 Several players without major league experience are featured in the set. 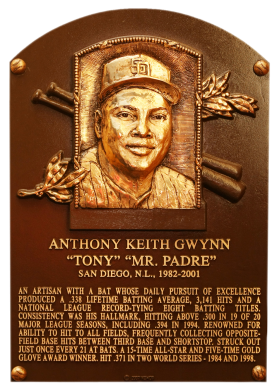 Included in this group are 1991 MVP's of the minor leagues and first round draft choices.